Keith is a Partner and Senior Advisor with Foundations Financial Partners, LLC. Mr. Tomer has extensive public speaking experience, and has served clients and worked with other professional advisors for 10 years. He is passionate about continuing education and professionalism in the financial services industry. He is a member of the Financial Planning Association (FPA). 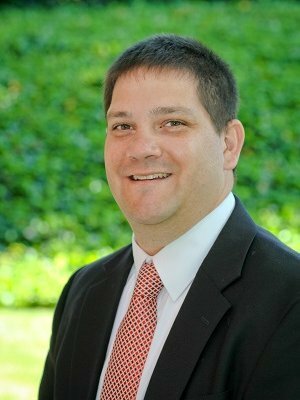 Prior to joining the Financial Services Industry in 2004, Keith was the Administrative Pastor for a large church in the Bucks County area. As a pastor, he was continually reminded of the financial challenges that individuals, families and business owners face as well as the unique struggles encountered by non-profit organizations. As an advisor with Foundations, Keith can help families, individuals and businesses with these specific challenges and allow them to realize their dreams. He and his wife, Charlene both grew up and reside in Bucks County. In fact, they both attended Central Bucks East High School, but they did not meet until college. They have three children and enjoy riding their bikes, kayaking, paddle boarding, and going to the beach. The Tomer family is active in their church and community. “Careful planning puts you ahead in the long run; Hurry and scurry puts you farther behind”. Keith is a Registered Representative and Investment Advisor Representative of Securian Financial Services, Inc. Separate from the financial plan and our role as financial planner; we may recommend the purchase of specific investment or insurance products or accounts. These product recommendations are not part of the financial plan and you are under no obligation to follow them. Securities and investment advisory services offered through Securian Financial Services, Inc., Member FINRA/SIPC. Securities dealer and registered investment advisor. Foundations Financial Partners is independently owned and operated.